This year, the School Quality Snapshot is available in a translation-friendly format. The School Quality Snapshot for each school is also posted in the “Overview” section and “Data and Reports” section on the school’s DOE website. ​Detailed information on student population, school conditions, and student achievement is available in the School Quality Guide. ​Multiple years of data, key comparisons, and data visualizations are available in the School Performance Dashboard. Community Education Council (CEC): You can also stay current on education issues by attending District 3 CEC meetings. This body of elected parent representatives holds public monthly meetings at rotating D3 locations. Their calendar, duties and news are online at www.cec3.org. 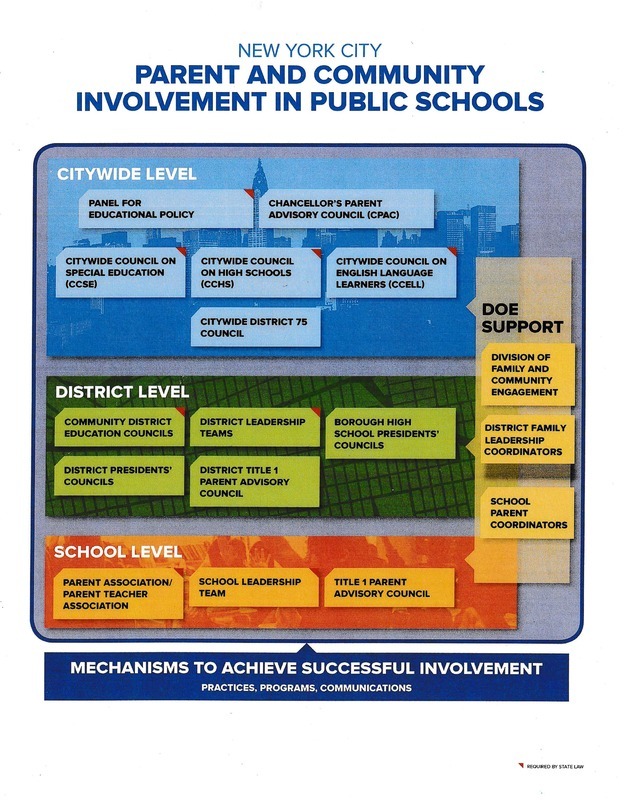 The CEC actively encourages community participation on its Multilingual, Middle School and Overcrowding/Charter committees. ​You can get DOE school updates delivered straight to your inbox by signing up for one of their email newsletters at schools.nyc.gov/Subscribe. Get breaking news (snow alerts and other important notifications) sent to you as soon as they're issued, or sign up for weekly or monthly newsletters with the latest DOE news, programs, and events. You can also sign up to receive important information by text, Twitter, email and more at www.nyc.gov/notifynyc​, or receive SMS text messages by texting "nycschools" to 877-877 or Click here to register for NYC DOE Updates. Click here for the latest news and information from the Department of Education.